Over half a century of brilliant scientific detective work, the Nobel Prize-winning biologist Karl von Frisch learned how the world, looks, smells, and tastes to a bee. More significantly, he discovered their dance language and their ability to use the sun as a compass. 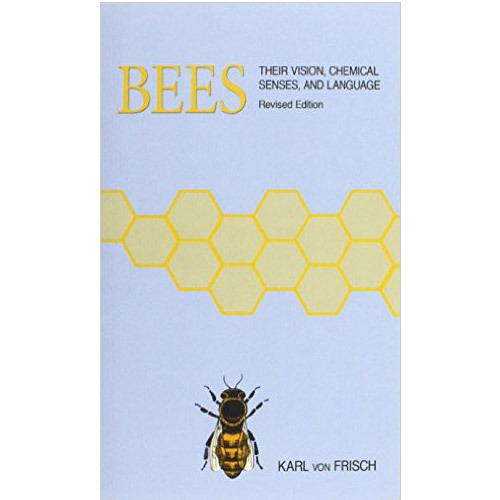 Intended to serve as an accessible introduction to one of the most fascinating areas of biology, Bees (first published in 1950 and revised in 1971), reported the startling results of his ingenious and revolutionary experiments with honeybees. In his revisions, von Frisch updated his discussion about the phylogenetic origin of the language of bees and also demonstrated that their color sense is greater than had been thought previously. He also took into consideration the electrophysiological experiments and electromicroscopic observations that have supplied more information on how the bee analyzes polarized light to orient itself and how the olfactory organs on the bee's antennae function.